Point to Events and click List Recitals. Choose a recital from the Recital Listing. In the Recital Editor, on the left, you'll see a Select a Class column. Classes are grouped first by Location, then by Category 1. Click any plus sign [+] or double-click any Location and Category to display classes. 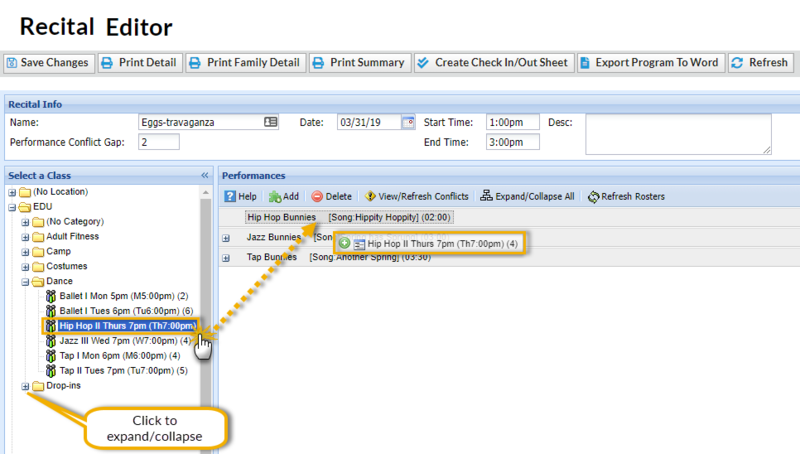 Click any class name on the left, hold down the mouse button and drag the class to a performance on the right. When the class has been dragged to its destination, release the mouse button. Save Changes regularly. More than 1 class can be added to a single performance. After a class has been added to a performance, click the [+] sign next to the performance to view the class. Click the [+] sign next to the class to view the students. To view all performances and classes, click Expand / Collapse All. 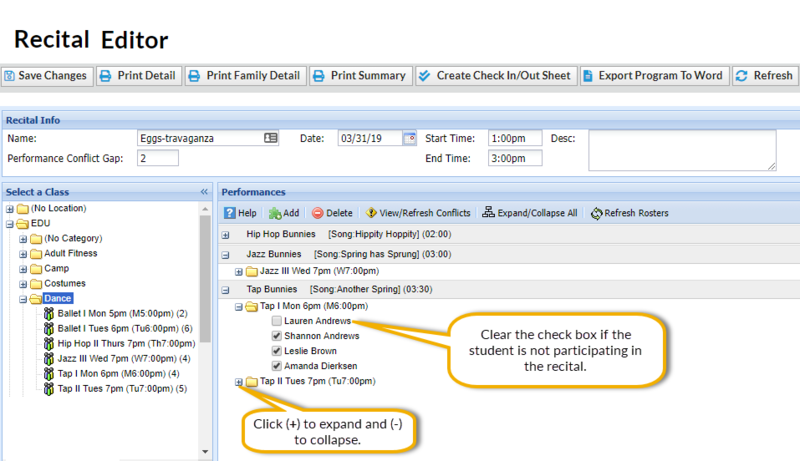 To remove a student from a performance clear the check box next to the student's name. When you have added all of your classes (students) to the performances in your recital, you are ready to finalize the recital.